The adults-only Barcelo Bavaro Beach takes its namesake from the coastline it sits on, consistently named one of the top beaches in Punta Cana. 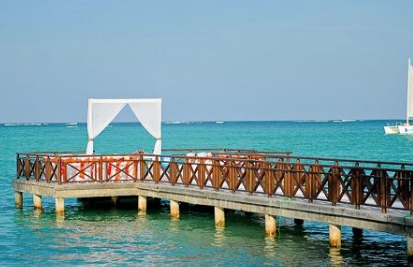 Your Barcelo Bavaro Beach wedding features unmatched beauty, along with a coral reef that transforms the ocean into a natural swimming pool, ideal for a scenic ceremony. Located within the Barcelo Bavaro Beach complex, this adult haven offers the luxuries and tranquility of a smaller resort while all the amenities of a mega-resort are available nearby, including a deluxe golf course and 24-hour casino. 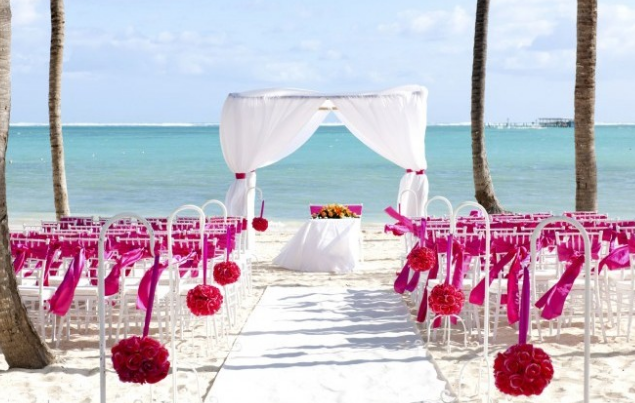 A wedding ceremony here would be that of one dressed in modern beachy decor amongst the tropical breeze. 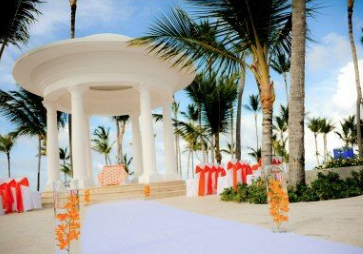 Guests with children have the option to stay at the Barcelo Bavaro Palace Deluxe, but if you choose a wedding ceremony venue within the adults-only section guests under 18 won’t be able to attend. The disco offers a VIP section, which is great to book for wedding parties that want to continue after the reception. For a unique gathering for small groups, book a wine tasting in the 8-person cellar. The entry-level Coconut Paradise package becomes complimentary when your group reserves a minimum combination of 25 rooms and nights in the Barceló Bávaro Palace Deluxe or Barceló Bávaro Beach (adults-only) resorts. An example would be 5 rooms booked for 5 nights. Upgraded packages, additional guests, and add-ons are available for an additional cost. $150 – $190 average price per person per night. Rooms include private balcony or terrace and daily restocked minibar. If a Suite or Presidential Suite is booked you will join the Club Premium category, which offers exclusive check-in and check-out, access to a premium club lounge with premium cocktails, private concierge service and much more! There are 400 adults-only rooms with resort and ocean views. Due to the large size of the resort, it is recommended for more active guests. Shuttles are available to get around the resort grounds and to further amenities. Adults can visit the neighboring Barcelo for further activities and facilties. 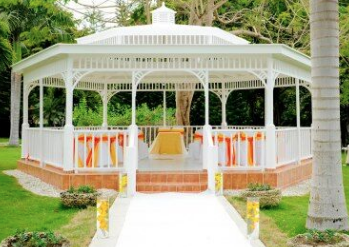 Garden – 200 guests max, Beach – 100 guests max, Chapel – 100 guests max, Garden Gazebo – 50 guests max, Ocean Gazebo – 50 guests max. 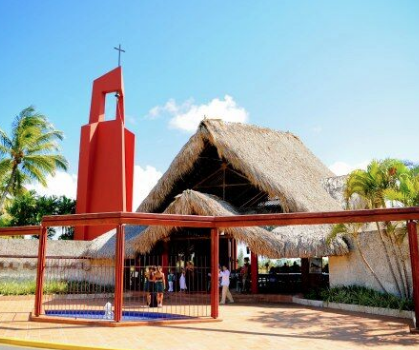 The Barcelo Bavaro resort complex is able to hold up to 4 weddings per day maximum, but typically only hold 2 – 3. It is recommended you book at least 6 months in advance if you have a specific date in mind. The busiest months for weddings as recorded by their wedding department across the multi-resort complex, with highest chances of sell-out, are January – June, September, and October. The resort is located 9 miles from the PUJ airport. A: 5 years, about 600 to 580 weddings , to be honest I don’t have the exact amount. 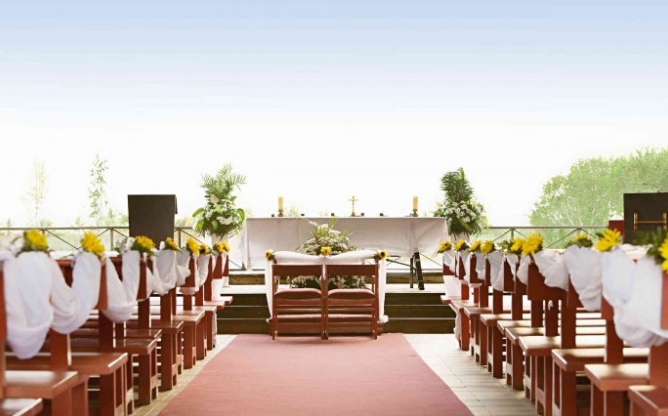 A: Our 7 different ceremony venues, including our own chapel at the property, the stunning areas to take amazing pictures. Our all-inclusive complex where the wedding guest are able to enjoy with their families before and after the wedding. Then especially our professionalism, responsibility, charisma and patience with all of our couples. A: Planning a destination wedding is a challenge everywhere, since she needs to plan her wedding from a distance, without knowing the person they are working with. But we have the responsibility of the biggest day in a woman’s life and this is why we do our best always. A: The variety of accommodations to enjoy their vacation, our impressive rooms, variety of gastronomy on offer that will satisfy even the most demanding palettes, and especially the beach upon the hotel is situated.